Mindworks NLP is a fully licensed Private Vocational career School, licensed through Washington State. This ensures educational quality and ethical practices. We are also an Accredited Business with the Better Business Bureau of Western WA. This is your guarantee of our commitment to professionalism and ethical business practices. The BBB has awarded Mindworks Hypnosis & NLP an “A+” rating. Connie and Michael Brannan have spent thousands of hours mastering every aspect and every nuance of NLP, and have achieved the status of Licensed Trainers of Neuro-Linguistic Programming ® through the Society of Neuro-Linguistic Programming ® and Richard Bandler, co-founder of NLP. We also own and operate a full time clinical Neuro-Linguistic Hypnotherapy practice in the Seattle area, Mindworks Hypnosis & NLP, and conduct regular seminars and lectures on sales and persuasion and personal development. Richard Bandler is the most well known and best respected name in the field. He created those letters, NLP! He heads the Society of Neuro-Linguistic Programming ®. There are only approximately 38 recognized Licensed Trainers of Neuro-Linguistic Programming ® in the United States. Your training will be conducted by two of the most elite trainers in the United States. We have trained with Richard Bandler recently, and have also earned certifications as Design Human Engineers ™ and Persuasion Engineers ™. 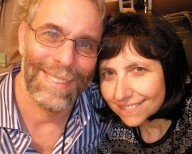 Learn more about your trainers, Michael and Connie Brannan, before you enroll now! Connie Brannan is a Seattle native, grew up on Mercer Island and received a bachelor’s degree from the University of Washington. Her extensive traveling and living in other regions has deeply enriched her understanding of diversity and her ability to help others. Now, she is delighted to be home, and practicing hypnotherapy out of Bellevue, Washington, and teaching and training. She is a Licensed Trainer of Neuro-Linguistic Programming ®, certified through Richard Bandler and the Society of Neuro-Linguistic Programming ®. Connie is the creator of trademarked processes “Designer Beliefs” and “Designer Feelings.” Connie is a member in good standing of several professional organizations including the NGH, National Guild of Hypnotists, the IAPCH, the International Association of Professional Conversational Hypnotherapists, and the Society of Neuro-Linguistic Programming ®. 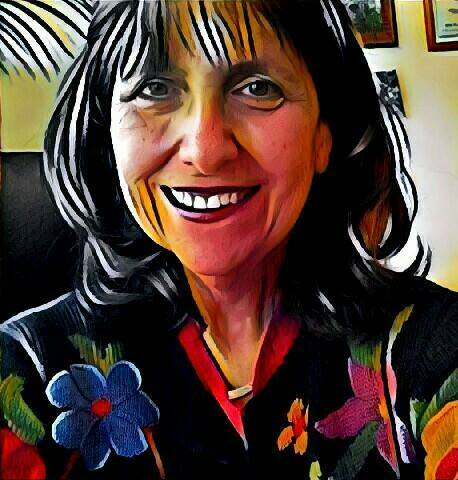 Her continuing education includes specialized in-person training with Richard Bandler & John La Valle (NLP and DHE), Steve Andreas (NLP Mastery Program), , Andy Austin (Metaphors of Movement), Don Mottin (National Guild of Hypnotists), Igor Ledochowski (Conversational Hypnosis), the Geoffrey Ronning Group, OMNI Hypnosis courses, Richard Bartlett (Matrix Energetics) as well as participation in a variety of international and local hypnosis and NLP seminars. 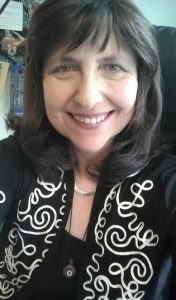 She is a published author, and creator of several self-help audio hypnosis products which are for sale on her website: http://www.mindworkshypnosis.net . She presents a series of self-hypnosis workshops, and also teaches hypnosis at Bellevue College EXPLORE! continuing education, as well as teaching/training NLP through her own institute, Mindworks NLP. Michael Brannan, CHt., is a Licensed Trainer of Neuro-Linguistic Programming ®, and a certified Clinical Hypnotherapist. Michael has been hypnotizing people since the age of 13. 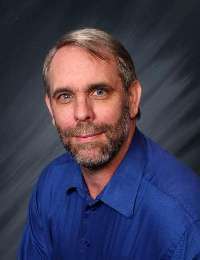 He’s carried his interest in hypnosis forward to this day, as co-creator of Mindworks Hypnosis, with offices located in Bellevue, Washington. 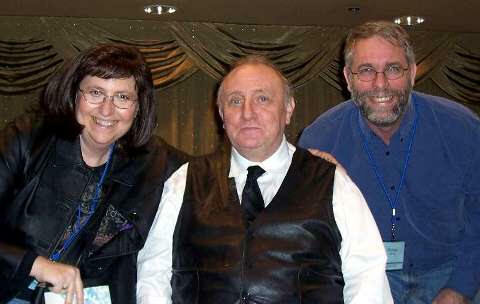 Michael is past President of the National Guild of Hypnotists, Washington State Chapter for three years, as well as a member in good standing of several professional hypnosis and NLP organizations including the National Guild of Hypnotists, the IAPCH, the International Association of Professional Conversational Hypnotherapists, and the Society of Neuro-Linguistic Programming ®. His continuing education includes specialized in-person hypnosis and NLP and DHE trainings with the creator of it all, Dr. Richard Bandler, and John La Valle. He’s also worked with the NGH and Don Mottin, Steve Andreas and NLP Comprehensive/Tools for Transforming, with the Geoffrey Ronning Group, Igor Ledowchowski’s Conversational Hypnosis, OMNI Hypnosis courses, as well as participation in a variety of international and local hypnosis and NLP events and seminars. Call us at (425) 564-8608 to enroll now! I “discovered” hypnosis and NLP quite by accident at the State Fair a few years back. We were wandering around the fair eating onion burgers and scones and Michael saw an announcement for a stage hypnotist performance. It was a free entertainment, so we plopped ourselves down to enjoy it. The show was hilarious, featured hypnotized subjects singing and dancing, hallucinating bugs and chairs with teeth, speaking foreign languages like “Martian,” x-ray “nudie” glasses, men having babies onstage, all manner of crazy antics. I was intrigued but yet thought, what IS this? I can’t believe this. What is happening here? After the show, I went up to the hypnotist and spoke to him. He was also selling some audio CD products, a blend of hypnosis and NLP language patterns to effect personal change. I bought the weight loss CD. I began listening to it. And…lo and behold, I immediately started taking better care of myself and eating right and exercising, and I lost 75 pounds!!! Doing what I wanted to do. Not a struggle! I had shifted something inside. In a good way! I thought to myself: “There’s something going on here. Something powerful. Something real! Something I need to know more about!” Something about these techniques and language patterns had helped me achieve a goal I’d been wanting in my life for a long, long time. I NEEDED to learn more! Thus began my research into NLP and hypnosis. I read books and articles and scientific studies, I joined online forums frequented by Professional NLP trainers, I asked questions, and day by day I was getting more and more excited. NLP changed the course of my life! I soon realized that this work was more powerful and more important than anything I’d ever learned or done. I got my training and certifications. I quit my dead-end job. I began my own exciting business as a Licensed Master Practitioner of Neuro-Linguistic Programming ™ and hypnotist, the business of improving lives. I opened an office in Bellevue, Mindworks Hypnosis & NLP , and began changing lives-one at a time. For the better! Using these tools for helping people let go of fears and anxieties, let go of unwanted habits like smoking and stuttering and fingernail biting, adopting better strategies for living, weight control, pain management, sleeping better. More and more and more cool things, helping people through NLP and hypnosis. Enhancing people’s sports games, increasing memory, increasing confidence and self esteem, increasing motivation, helping people let go of limiting beliefs and find the unconscious solutions to life’s dilemmas which they already have inside themselves. And you know what, I was having more fun than I’d ever dreamed possible. Am having. Current tense. I LOVE THIS WORK!! It’s amazing. It’s my passion, it’s my life! Also exciting, Michael shares my passion. We’re moving forward together. As it turns out, his interest in all this precedes mine, he was hypnotizing his little schoolmates at age 13! But that’s Michael’s story, which he will share himself. With more and more trainings under the belt, more and more experience in my office playing with these tools, I made another leap. This is something we can teach! We can touch more minds than just one at a time. Michael and I joined Richard Bandler (NLP’s originator) in Orlando, Florida for the ultimate trainer’s training. We earned the King’s seal of approval, that we had mastered this methodology to the point that he was comfortable licensing us to teach it. We are Licensed Trainers of Neuro-Linguistic Programming ™. And so, thus began Mindworks NLP-our Seattle based licensed vocational school to share the magic of NLP with the world. I’m happier than I ever imagined now that I share these tools every day. Day by day, my life is becoming more rich and rewarding. You can join me in this wonderful adventure. Do! Connie & Michael Brannan, Licensed Trainers of Neuro-Linguistic Programming® are certified through NLP’s co-originator, Dr. Richard Bandler, and the Society of Neuro Linguistic Programming®. Mindworks NLP is a fully licensed Private Vocational School, licensed through Washington State. This ensures educational quality and ethical practices.